SottoStudios joins alliance partner Embraer at NBAA Las Vegas. 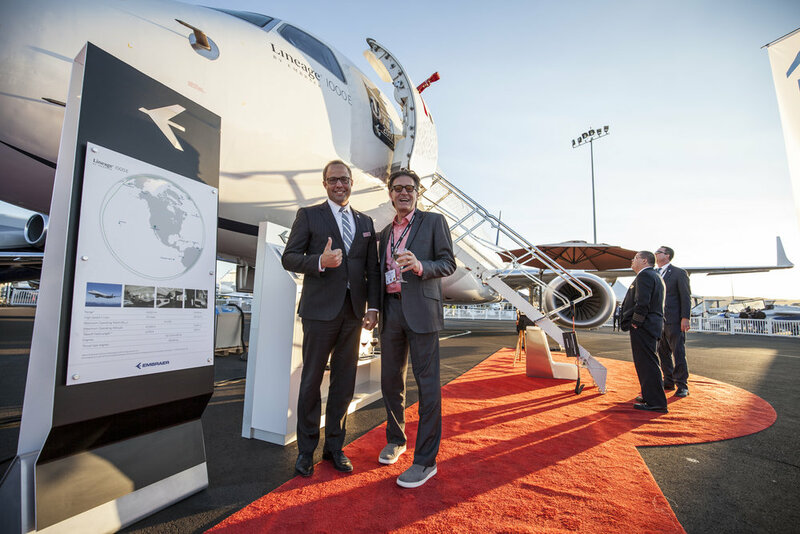 Embraer Design VP Jay Beever and Eddie about to board Embraer's Lineage 1000e. 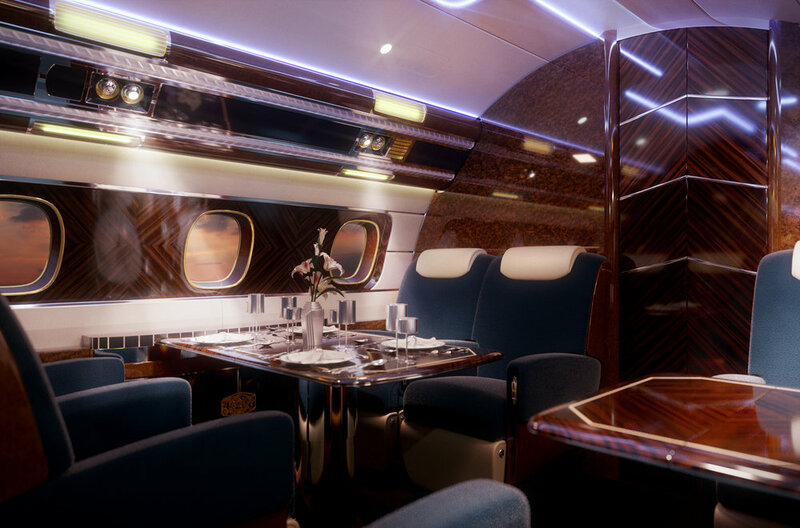 NBAA Las Vegas- We joined Embraer's VP of Interior Design, Jay Beever on the interview couch aboard their flagship Lineage 1000e to discuss bespoke design and the recent Manhattan and Skyranch One concepts developed for the Lineage with an eager press. A great show and so much fun with a great ally. Toured a vintage DC3 on display there and discussed how "time travel" is really possible within the immersive world of a period aircraft. Additional thanks to Daniel Bachmann, Frank Chavez and the entire Embraer support staff for a great event. Here are some moments aboard the flagship Lineage, and about the tarmac with Jay and Daniel. 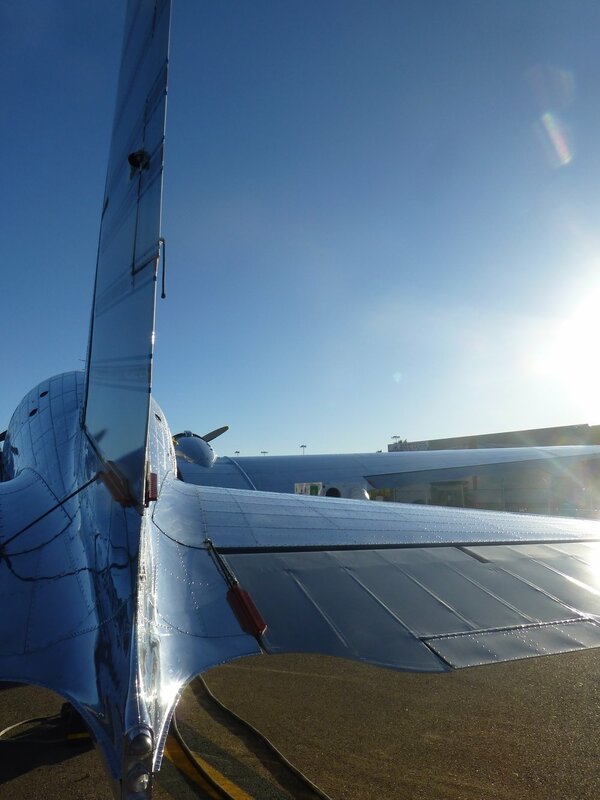 More on the DC3 here. Warm evening under the Jets..
Jay and I talk bespoke design with Reuters aboard Lineage.